Add sparkle to your style with this elegant twist ring crafted from sleek and sophisticated 9ct white gold. With a shimmering square cut cubic zirconia set at its centre for glamorous shimmer, this beautiful ring is finished with cubic zirconia stones on the bands. 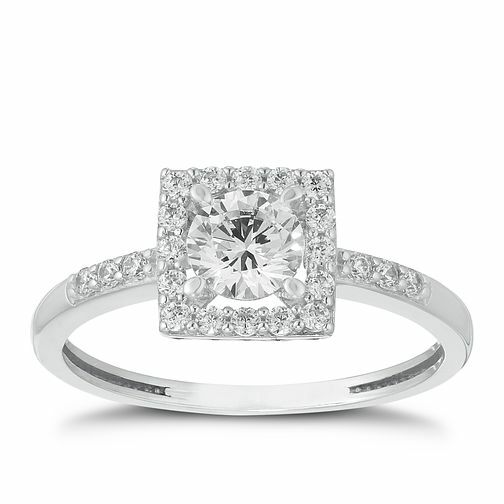 9ct White Gold Square Cubic Zirconia Halo Shoulder Ring is rated 4.0 out of 5 by 1.